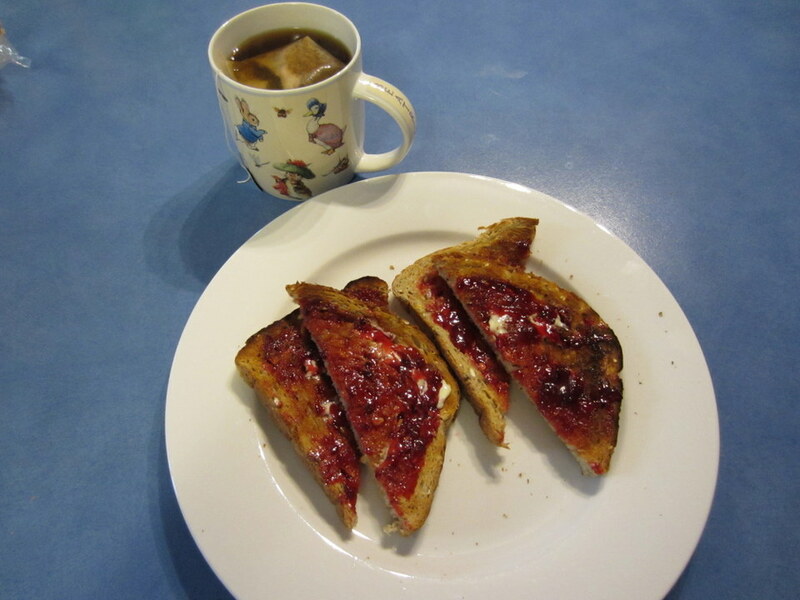 I should start this post by saying that I am a total jam novice …. this is my first ever go at making jam but it was much less scary than I thought and it tastes so yummy that I am inspired to make more. I am very fortunate that my parents-in-law have a sprawling, very heavily laden mulberry tree in their backyard, so picking over 2kg of berries to have a go was very easy (and fun!). 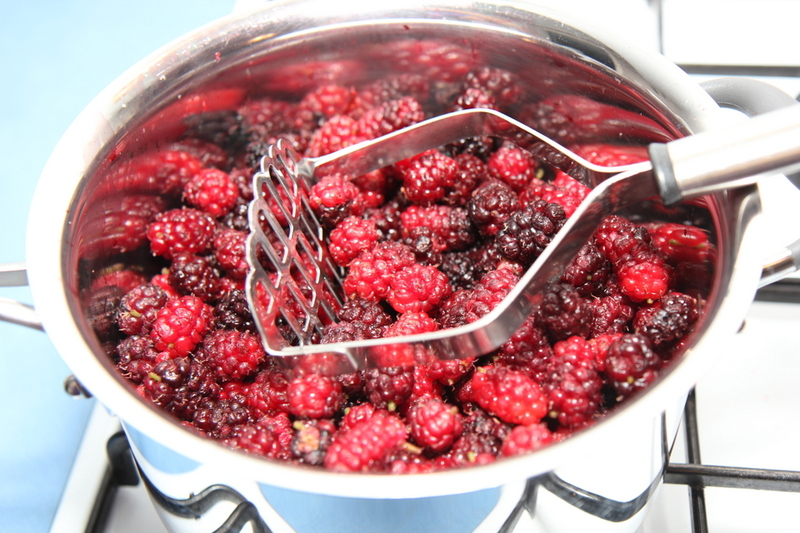 Wash berries and drain very well. Remove any obvious stems and place in a large saucepan. Crush with a potato masher. 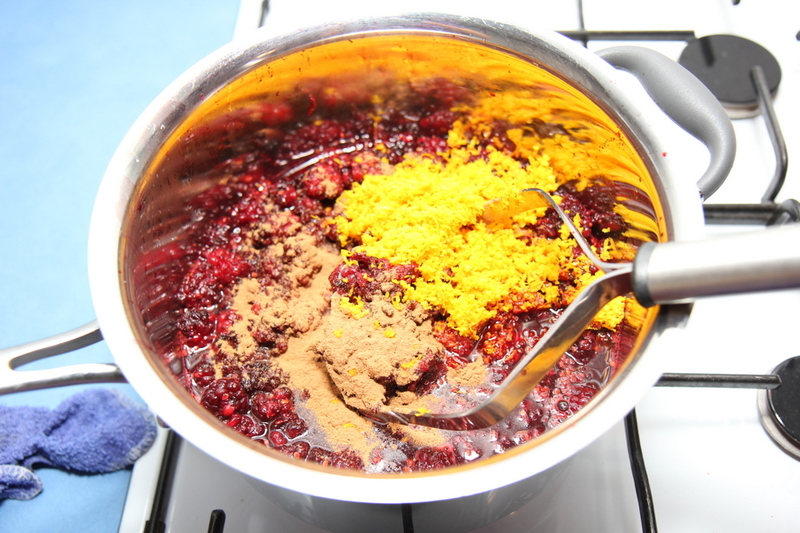 How much you crush depends on how smooth or lumpy you like your jam … I like some lumps so I didn’t mash too much. Tip in the zest, juice and cinnamon and mix well. Turn on the stove to a low heat and add the sugar. Stir continuously over low heat, until ALL of the sugar has dissolved. Turn up the stove to a high heat and bring to a rolling boil. And continue the boil for 4 minutes. During these 4 minutes boil the kettle and soak the jars and lids in the boiling water. Dry the outside of the jar with a clean tea towel. 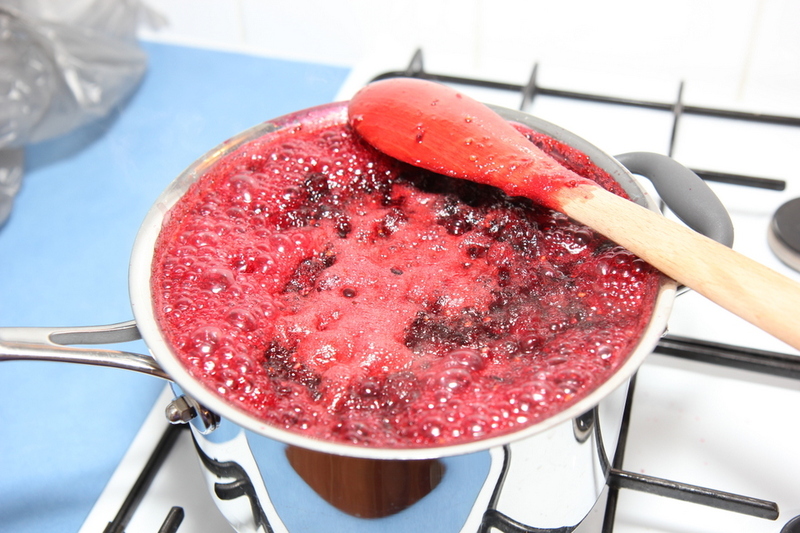 As soon as you have removed the jam from the heat, use a jug, like a pyrex style measuring jug to scoop out the jam and pour it into the jars. Please be very careful with this part … it is a really hot mixture and you will need to protect your hands. Fill the jars, place the lids on and immediately invert them. Allow them to stand upside down for an hour. This allows the jars to reseal and keeps them airtight. Then turn the jars up the right way and wipe them … it is a messy process! Allow to cool and set overnight – don’t put them in the fridge as you might crack the glass. 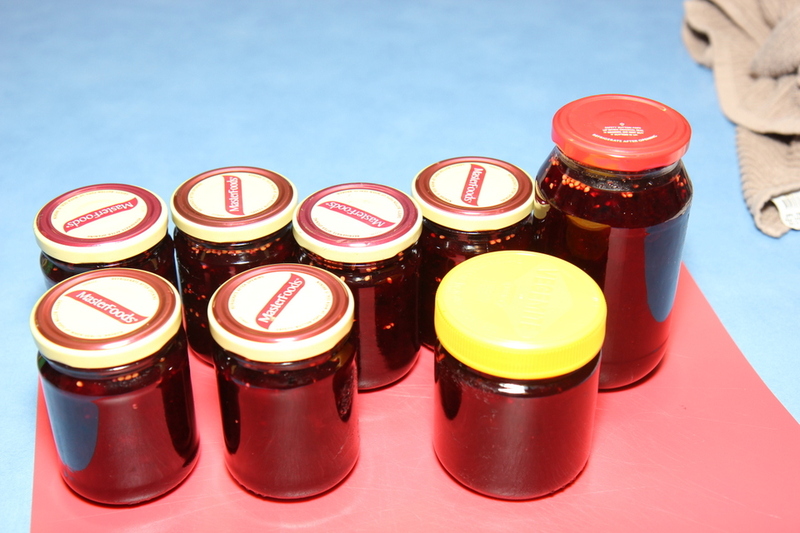 Only use jars with a plastic lid if you are going to use it straight away or if you have jam seals underneath. You can easily decorate the jars to give as gifts. We did a pretty label and some glossy red and green bows. They look great! 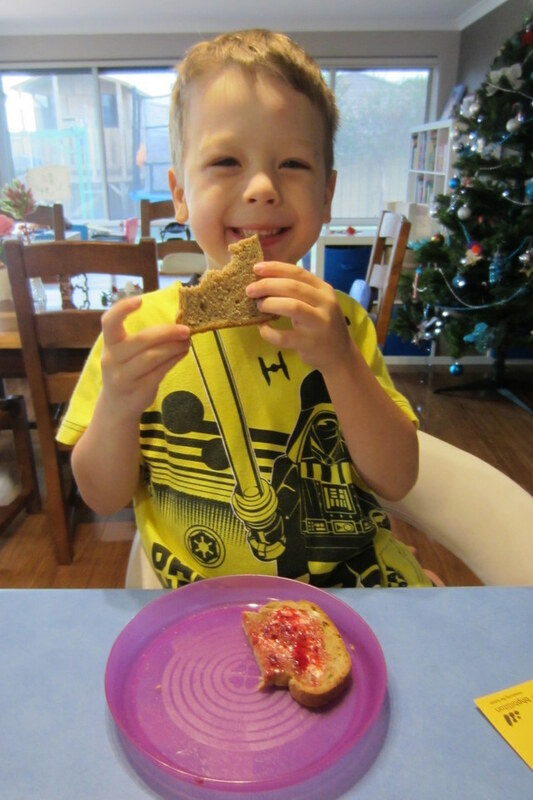 He has waited a looong time for this jam!